Today’s energy companies face large demands and critical time-frames in order to keep up with the nation’s ever-increasing need for energy. PSI has provided rapid and effective engineering solutions since 1994. We have allowed companies to meet demands by delivering project management services helping clients create clear and attainable project objectives, provide project requirements, and manage the cost, time and scope of a project. We also offer engineering, design, and support services for an array of projects. PSI’s unique company structure and size allow us to maintain a low overhead cost but still meet vital time deadlines. Our diverse staff of engineers, project managers, and inspectors has experience in gathering, transmission, delivery, and distribution functions in oil, gas, refined products and water industries. Projects range from conceptual design and new construction planning to repair and maintenance of existing facilities and pipelines. PSI’s approach and commitment help you achieve your financial, operational, and technical goals. We provide an optimal support solution as either a temporary member working within your existing support functions, or a complete advisory solution. Look to PSI when you need the optimum balance of engineering and operations knowledge with sensible, cost-efficient and quality results. PSI promotes and maintains a safe and healthy work environment in all aspects of business. All employees are required to complete a rigorous safety program before beginning employment. PSI is a registered member of ISNetworld, an on-line contractor/ supplier safety and certification management database. We adhere to all established safety standards in the industry, including OSHA, NFPA, ANSI, and PUC. We maintain an up-to-date health, safety, and environmental manual detailing in-depth information and guidance to all safety standards and practices. PSI can provide operator-qualified individuals for projects and meet all safety requirements of our clients. Mike is currently the Managing Member of PSI. Mike is involved with coordinating all project and operations efforts company wide, while overseeing a team of engineers, drafters and technicians. With 21 years in the oil and gas industry, Mike has been involved in new construction, maintenance, pipeline and facility projects in a combination of gathering, transmission, and distribution systems. 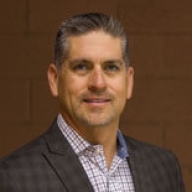 Mike’s strengths include integrity management, project initiation, scope development, project management, cost analysis, scheduling, execution, implementation, and closing of pipeline and facility projects. Additionally, Mike has worked on a wide variety of operations and maintenance projects with a strong background in integrity management, and is well versed with integrity management plans, close interval surveys, pigging operations, and corrosion in-line inspection plans and procedures. 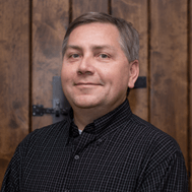 Mike has worked extensively in all phases of engineering and construction, including planning, design, survey, drafting, material specifications, procurement, construction documentation, and construction management for many different grass roots projects. Projects have included pipelines (both steel and poly), pump stations, compressor stations, above ground storage tanks, production facilities, and meter/regulation facilities. Mike graduated with a Bachelor’s of Science in Civil Engineering from the University of Kansas. Mike is also a Professional Engineer in the states of Colorado, Wyoming, Louisiana, Texas, and New Hampshire. He has also obtained his NCEES file for all other states, is a Certified Welding Inspector, and a current member of NACE. Mike is currently an Engineering Manager, coordinating the efforts of project leads and engineers, who are designing multiple pipeline and facility projects for several valued clients. 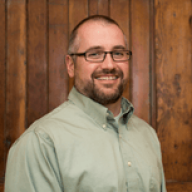 While with PSI, Mike has worked on notable projects including planning, designing, and coordinating upgrades to the Bridge compressor station. His management efforts and quality design kept construction costs to a minimum and change orders below 5% of the total project cost. Prior to joining PSI, Mike was self-employed, working as a pumper in East Texas. During his career, Michael has focused on production facility design and upgrades, as well as compressor station expansions. His previous industry experience has lead him to success by allowing him to design from both an industry and operational perspective. Michael has over 10 years of experience in the oil and gas industry. Michael graduated with a Bachelor’s of Science in Mechanical Engineering from UT Tyler, an AA in Mathematics, and an AS in Engineering from TJC. In addition, he is a licensed Professional Engineer in Colorado, Utah, Texas, and New Hampshire, while also having his NCEES file for all other states. projects vary from new construction, facility modifications, and as-builts. He also supervises the pipeline drafting group to coordinate all mapping, alignments, and horizontal directional drill projects. tasks included subdivision, roadway, and utility design. He also has experience in land surveying including boundary, topographic, and construction staking surveys. Brandon has over nine years of pipeline experience. Brandon graduated from Southeast Technical Institute with an Associate’s degree in Civil Engineering Technology. Shane is currently an Engineering Manager, coordinating the efforts of project leads and engineers, who are designing multiple pipeline and facility projects for several valued clients. While with PSI, Shane has contributed to several projects from idea generation to construction including fresh water gathering and distribution systems, well connections and trunk line installations. Prior to joining PSI, Shane had the opportunity to work for ExxonMobil, where he had a wide variety of positions and responsibilities including Pipeline & Distribution Engineer, Senior Engineer, Risk & Integrity Specialist, Field Operations Specialist, Terminal Superintendent, Senior Project Engineer, Construction Manager, and Project Manager. Shane is well versed and experienced in all phases of both crude and refined product facilities as well as pipeline projects (including gas, oil, water, refined products, ethanol, and biodiesel), which allows him to excel in project management, construction management and engineering design. During his 18 years in the oil and gas industry, Shane has been involved in well over 200 successful projects, with budgets ranging from $20k to $100M. Shane was PSI’s first Engineering Intern over 20 years ago and elected to return to PSI after his career with ExxonMobil. 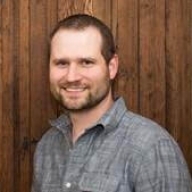 Shane graduated from Colorado School of Mines with a Bachelor’s of Science in Engineering with a civil specialty, and furthered his education with a MBA from the UCLA, Anderson School of Management. Additionally, Shane has received his PMP certification and various other industry training and certifications. Bryan is currently the Drafting Manager managing a team of over 20 drafters and designers. Prior to joining PSI, Bryan had the opportunity to work for Kinder Morgan, El Paso Energy, and Tennessee Gas Pipeline. During his 16 years in the oil and gas industry, Bryan has taken on a variety of positions and responsibilities such as Field Project Manager, Drafting Supervisor, and Sr. Project Manager. He has had the opportunity to work on a number of different projects, including pipeline projects, compressor station design packages, meter station designs, and production facilities. During his time with Kinder Morgan, Bryan successfully managed an effort to complete a five year as-built drafting backlog of maintenance capital projects as well as all expansion projects. These efforts contributed to the development of a new program which focused on timely document management. 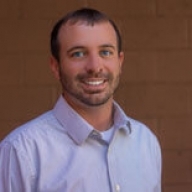 Bryan brings his diversified project management skills to the team, helping PSI create streamlined processes and efforts, efficient schedules, and holding products to the highest industry standards. Bryan graduated from Pennsylvania College of Technology with an Associate’s degree in Computer Aided Drafting and Design. George is currently the Corrosion Services Manager, overseeing multiple corrosion and integrity projects and coordinating operations within PSI’s corrosion department. Prior to joining PSI, George was with Kinder Morgan, Terasen Pipelines, Encana Pipelines, and Marathon Ashland Pipeline Co. 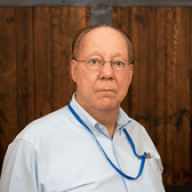 Throughout his 38 year career in the oil and gas industry, George has held a variety of positions and responsibilities including Corrosion Technician, Corrosion and Integrity Specialist, Pipeline Protection Supervisor, and Corrosion Services Manager. 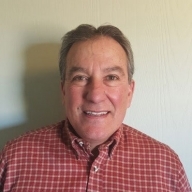 George has experience in all facets of pipeline corrosion and integrity, and has extensive knowledge in areas such as internal and external corrosion control, cathodic protection system analysis, rectifier design, pigging, and creating integrity management plans. George coordinated all corrosion planning and design for 1,850 miles of 20” and 24” pipe installed between Alberta, Canada and Wood River, Illinois. George graduated from Eastern Montana College with a Bachelor’s of Science degree. George is NACE certified as a Corrosion Technologist, Coating Inspector Level 1, and Corrosion Technician. Matt is currently a Principal Engineer coordinating the efforts of project leads and engineers, who are designing pipeline and facility projects for several valued clients. 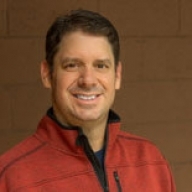 During his collective 22 year tenure with Colorado Interstate Gas, Encana Natural Gas and Stabilis Energy, Matt has held positions including facilities engineer, senior engineer, principal engineer, engineering group lead, and vice president. In those roles he developed extensive experience in project management, engineering design, construction, maintenance, operations, logistics and safety in natural gas transportation and midstream facilities. Matt has led and managed engineering teams executing natural gas facilities projects including compression, processing, measurement, storage, pipelines, compressed natural gas and liquefied natural gas. The industries included oil and gas, mining, railroad, marine, manufacturing and construction. Dwight is currently a Principal Engineer working on numerous measurement, control, and instrumentation design projects. Prior to joining PSI, Dwight worked for Colorado Springs Utilities and Colorado Interstate Gas for over 36 years. During his time in the oil and gas industry, Dwight has held several positions including a Performance Engineer, Senior Project Engineer, and Principle Engineer. Dwight’s career in the natural gas industry includes extensive experience in engineering management, project management, engineering design, and automation. Dwight has extensive experience in the design, maintenance and modification of natural gas custody transfer measurement systems and transmission control systems. Additionally, as an engineering manager, he managed multi-discipline teams which handled the design of facilities for compression, treating, storage, and measurement of natural gas. Dwight graduated from Colorado School of Mines with a Bachelor’s of Science in Chemical Engineering and Petroleum Refining. Dwight is currently licensed as a Professional Engineer in the state of Colorado. Nick is currently a Principal Electrical Engineer working on numerous electrical distribution and instrumentation design projects. Prior to joining PSI, Nick worked for several engineering and design organizations. 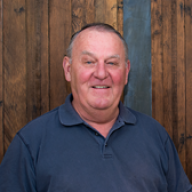 During his 42 years as an electrical engineer, Nick has held positions including Generation Support Electrical Engineer, Power Systems Analysist, Field Support Electrical Engineer, and Lead Electrical Engineer. Nick was a key member on an assortment of projects that included electrical and instrumentation design, documentation, and construction support for compressor stations, tank batteries, and storage facilities. A highlight of his career was having the opportunity to design multiple base substations, including an 84 MVA base substation that was fed from PG&E’s 115kV overhead line. Nick’s four decades as an electrical engineer makes him a valuable asset to the PSI team. Nick graduated with a Bachelor’s of Science in Engineering Physics from the University of Colorado, Boulder. He received a Master’s of Science in Electrical Engineering from the University of Colorado, Denver. Nick is currently licensed as a Professional Electrical Engineer in the states of Colorado, Arizona, Washington, California, Utah, and Illinois.